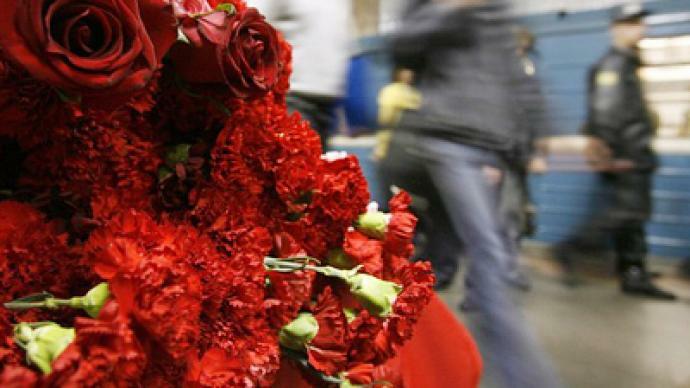 A year after the deadly bombings on the Moscow Metro, Russia honors those who were killed when two female suicide bombers targeted two stations in the morning rush hour. Hoards of people visited Lubyanka and Park Kultury Metro stations to attend commemoration services, to light candles and lay flowers for the victims of the attack that tore through the heart of the Russian capital exactly one year ago. For Dmitry Petrov that day began as just an ordinary Monday morning. Like many other people he had a certain spring in his step, knowing the harsh Moscow winter was all but over. But little did he realise the living nightmare he would be thrown into just a few minutes later on his morning journey. “Suddenly there was this horrible sound as if something huge had fallen down. I woke up and there was smoke everywhere, people were shouting and rushing out of the car,” Dmitry remembers. What he had heard was the start of the worst terrorist attack in the Russian capital in six years. Just before 8am the first of two explosions hit the Moscow Metro, killing 24 people at the crowded Lubyanka station, which lies beneath the headquarters of the Federal Security Service. Forty minutes later, the terror trail moved south targeting a station at a busy Metro intersection, killing 12 more. The second blast, at Park Kultury station, came at 8.38 – right in the middle of the rush hour. It struck at the back of the train as commuters tried to get on board. “It was dark. There was no lighting. I just saw a heap of bodies and whatever remained of them. Some of them were stretched on the floor near the metal train. The sight was horrible – it was people who were dying just before your eyes. And there was nothing that could save them,” says Dmitry. 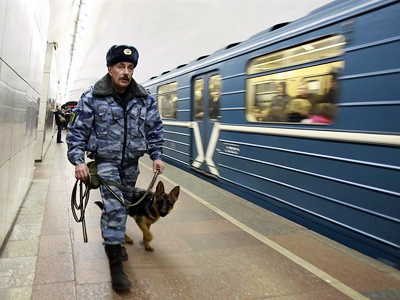 With 8 million commuters every day, Moscow’s subway is one of the busiest in the world. This has made it a terrorist target in the past, and on this day a year ago, it was to be a target once again. Twenty-year-old Liliya Danilenko saw the horrors for herself – but refuses to live in fear today. “Sometimes I feel something like this, I think about this, but generally I think that we have safety in our life. I want to feel this, because without this we can't live,” she says. A year ago, terrorists attempted to bring Moscow to a standstill by bringing horror to everyday life, but if they wanted to destroy people's spirit, the goal was certainly not achieved. City life goes on and while the terror threat to millions both in Moscow and across the globe remains, it is something people have learnt to live with. President Dmitry Medvedev has ordered the Federal Security Service (FSB) to continue special operations against militants. “We've identified all the suspects behind this most horrible of crimes. Most of them were eliminated during special operations. This is a just punishment. The fact that we've managed to get these scoundrels is good. I think that we worked well in cooperating with different parts of the government. We've been able to bring them serious losses,” said the president. The National Antiterrorist Committee reported that 17 militants were “eliminated” and two men involved in another terrorist bombing at Moscow’s Domodedovo Airport were captured on Monday. Law enforcement officers destroyed the base that had been allegedly used by militants for training suicide bombers. Meanwhile, a survey suggests over 70% of Russians are afraid of falling victim to a terrorist attack. Interfax news agency quotes sociologists from The Levada Center as saying 73% are afraid of new terrorist attacks and of the possibility of being taken hostage in a large Russian city. Fifteen per cent do not believe in such a possibility.